I recently had to look at some performance metrics in my vSphere 5 lab and I was curious if VMware had documented all the new performance metrics. I headed over to the vSphere 5 API reference guide and to my surprise, they were exactly the same as the vSphere 4 API reference guide. 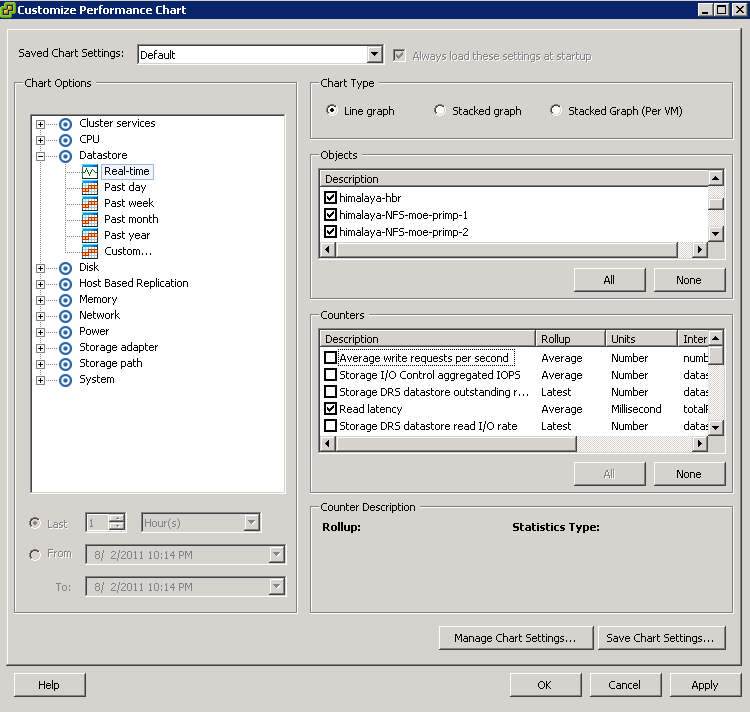 Though looking at the vSphere Client, it was obvious there were new performance metrics for features such as Storage DRS that did not exists in vSphere 4. Using a similar method in a previous post about Power performance metrics, I extracted all the new metrics in vSphere 5 and created the following table that includes the metric name (rollup,units and internal name), collection level and description of the metric. There are a total of 129 new performance metrics that include Storage DRS and HBR (Host Based Replication). Hopefully this will be fixed in the API documentation when vSphere 5 GA's as I recalled providing the same feedback during the beta program.